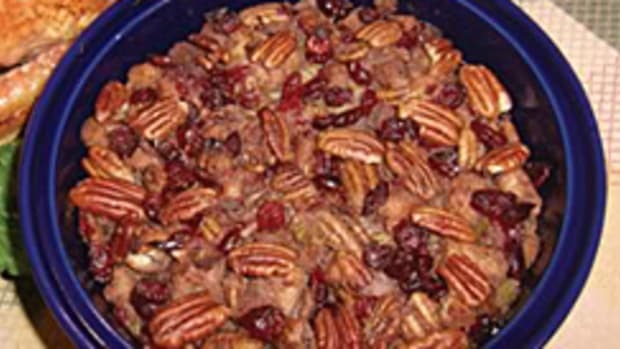 Organic turkey is a lean alternative to red meat, and it certainly isn’t limited to Thanksgiving dinner. 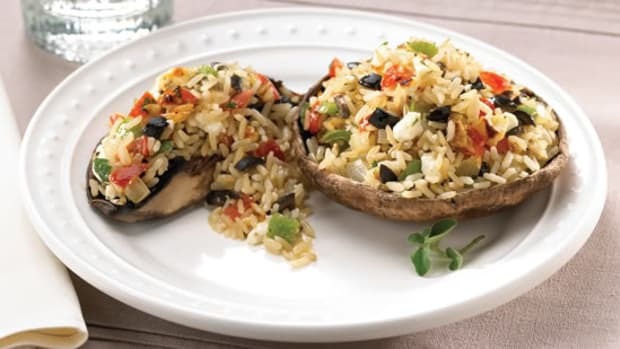 Our weekend recipe, developed by Chef Bobby Flay, is an appetizing main dish with definite kid appeal. 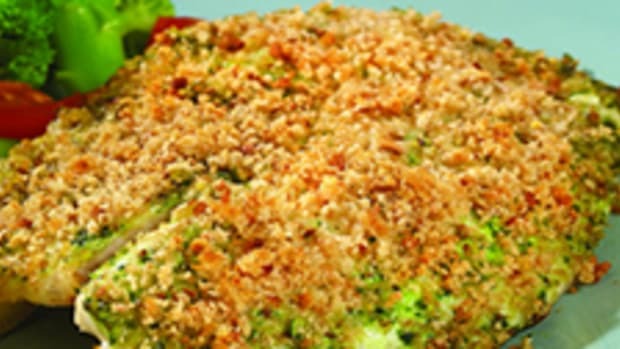 Panko bread crumbs, mayonnaise, parsley and poultry seasoning create a moist, stuffing-like crust. 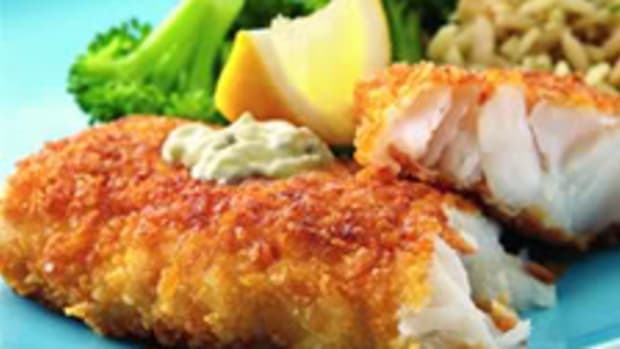 Combine the panko (or bread crumbs) and parsley on a large plate, and season with salt and pepper. Whisk together the mayonnaise, Dijon mustard and poultry seasoning in a small bowl; season with salt and pepper. 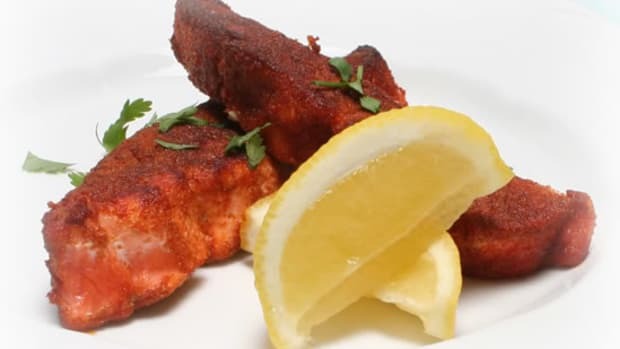 Season the turkey cutlets on both sides with salt and pepper. 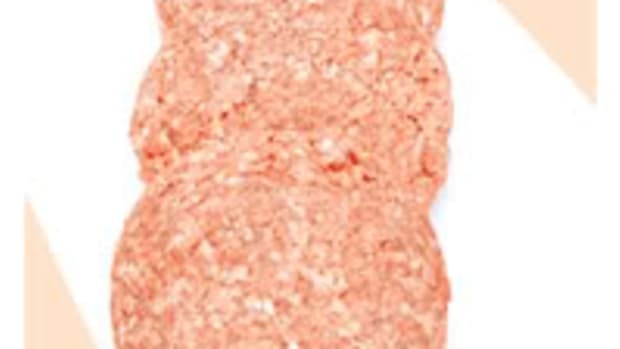 Brush one side of each cutlet with some of the mayonnaise mixture, and coat in the bread crumbs. Heat 2 tablespoons oil in a large sauté pan over high heat until the oil begins to shimmer. 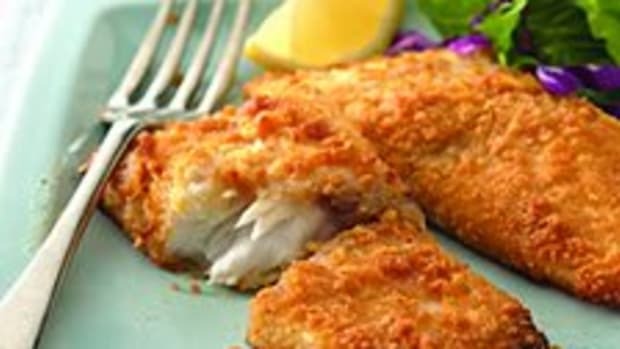 Place 2 cutlets in the pan, breading side down, and cook until golden brown and a crust has formed, about 3 minutes. 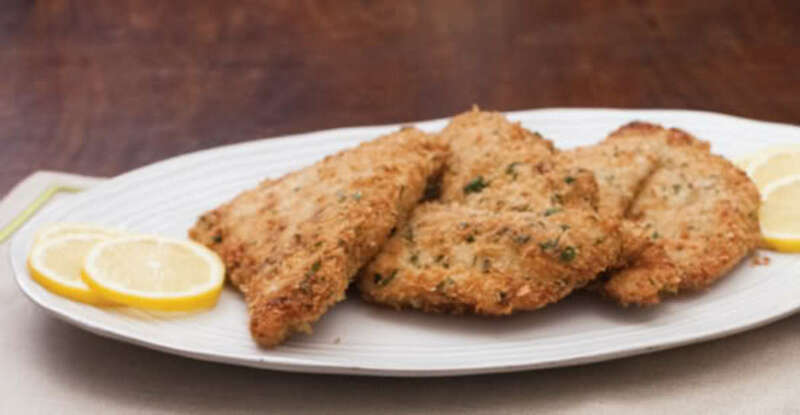 Flip the cutlets, and continue cooking until the bottom is golden brown and the cutlets are just cooked through, about 2 minutes longer. 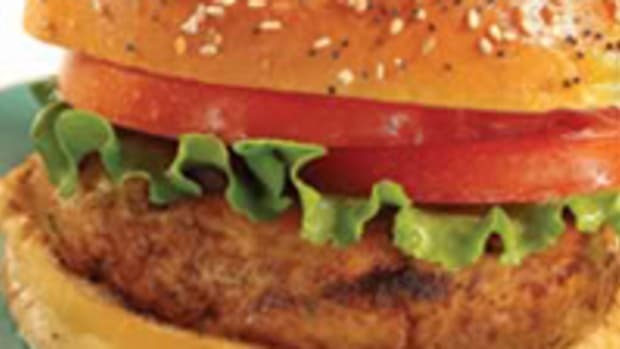 Repeat for remaining 2 cutlets.